The National Football League (NFL) seems to have no loyalty anymore. 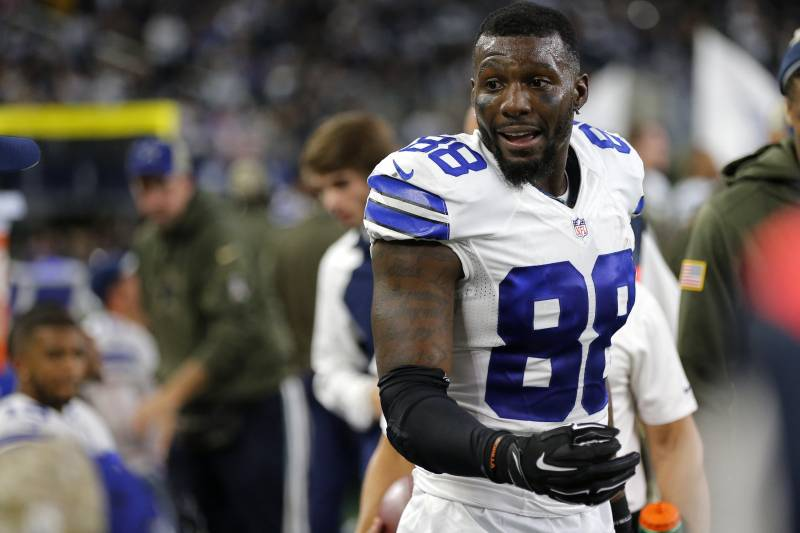 After eight seasons with the Dallas Cowboys, star wide receiver Dez Bryant was released on April 13, 2018. In his career with Dallas, Dez had 7459 receiving yards in 531 receptions with 73 touchdowns. Bryant was also a three-time Pro Bowler in 2013, 2014, and 2016 and a First-Team All-Pro in 2014. Even after all this, the Cowboys let him walk and Bryant became a free agent. Bryant spent the first nine weeks of the NFL season without a team. For someone like Bryant, watching football on television and not playing is tough. Bryant made the best of being off the field by posting a lot of comments about NFL games on Twitter such as, “That’s not a catch!” Bryant was doing a lot of this until Nov. 8 2018, when the New Orleans Saints signed Bryant to a one year deal. With New Orleans already a threat to win the Super Bowl, Bryant seemed to be the missing piece that would complete their offense. New Orleans has one of the greatest quarterbacks of all time, Drew Brees. They also have two running backs that can do damage anytime they touch the ball in Alvin Kamara and Mark Ingram. Dez Bryant would be playing alongside another stud receiver in Michael Thomas. The Saints seem to have threats on offense everywhere you look. Bryant never managed to actually suit up for New Orleans however. Two days after he signed, Nov. 10, Bryant tore his achilles tendon and was out for the season. This was devastating for Bryant. He will not get to play in the 2018 season. This was also a loss for New Orleans, as they thought they found their missing piece. Bryant only signed a one year deal with New Orleans, which means he will be a free agent this upcoming off season. Bryant will yet again have to find a new team, unless he re-signs with New Orleans.